I really enjoyed the previous volume, Bohemian Gospel, but this one not so much. There was so much mystery and tension in the first book, because Mouse’s strange powers and longevity was a large part of the mystery. The Bohemian Gospel ended with a confirmation of the general consensus of just who and what Mouse actually is—SPOILER ALERT if you haven’t read Bohemian Gospel—the daughter of the devil! Now her continuing adventures are a tad diminished by that certain knowledge. Had the author never confirmed the fact that the people Mouse encountered firmly believed, it would have been better for the sequel. Mouse now calls herself Dr. Emma Nicholas, a professor at a Nashville university. The secret of her parentage she has buried for the past seven hundred years. Now she runs the risk of exposure. One of her former pupils is in town to promote his controversial new book. His name is Dr. Jack Gray, and his book is titled Who Wrote the Devil’s Bible? He'd been fascinated with The Codex Gigas ever since Mouse had mentioned it to him in class over thirteen years earlier. Granted, she had likely said a bit too much, which was really unwise given her own years of writing this oft-reviled religious relic. Dr. Jack Gray had this new book out now, and had called attention to her during his speech. Thus forced into the light, she knows that this will alert her father, the devil she has been hiding from for many years now. She resigns her Professorship, and flees to Europe to avoid her father. She travels to Rome and finds herself in a fiery dispute with the Vatican. 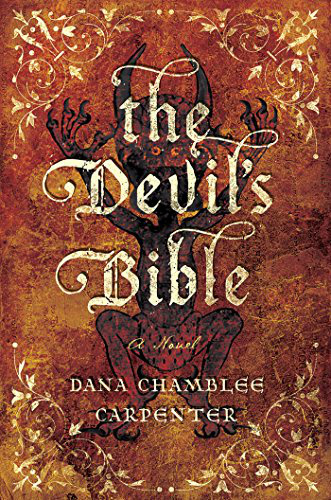 She moves on to Prague seeking the final missing pages of The Devil’s Bible. Her father needs these pages which hold a power even Mouse doesn't completely understand. All that she knows is that she has to find them before he does. Like I said the magic of the first novel lags in this sequel, but it isn’t all that bad. It may just be that it plumbs depths that I personally find very dark and unsettling as a Christian. That’s my excuse, anyway.